Update on the ‘Annie’ test mannequins. 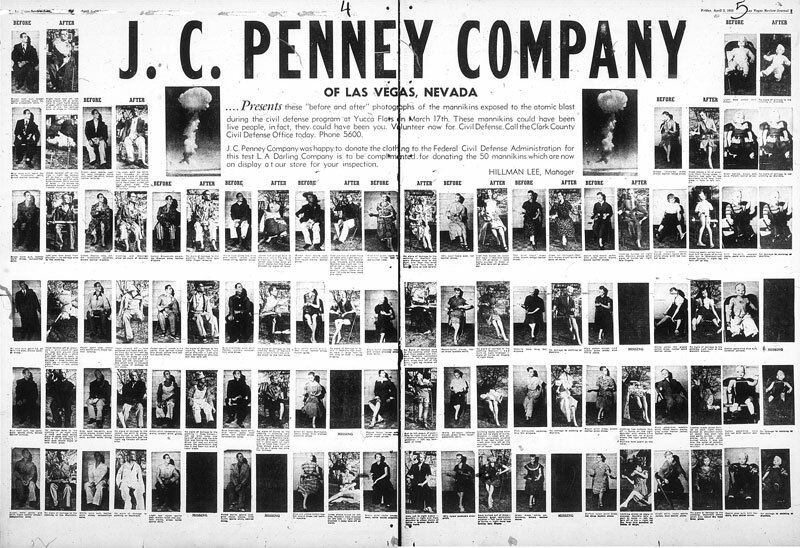 In Las Vegas I found photos of the mannequins being dressed and on display at the J.C. Penney store before the March 17, 1953 detonation. 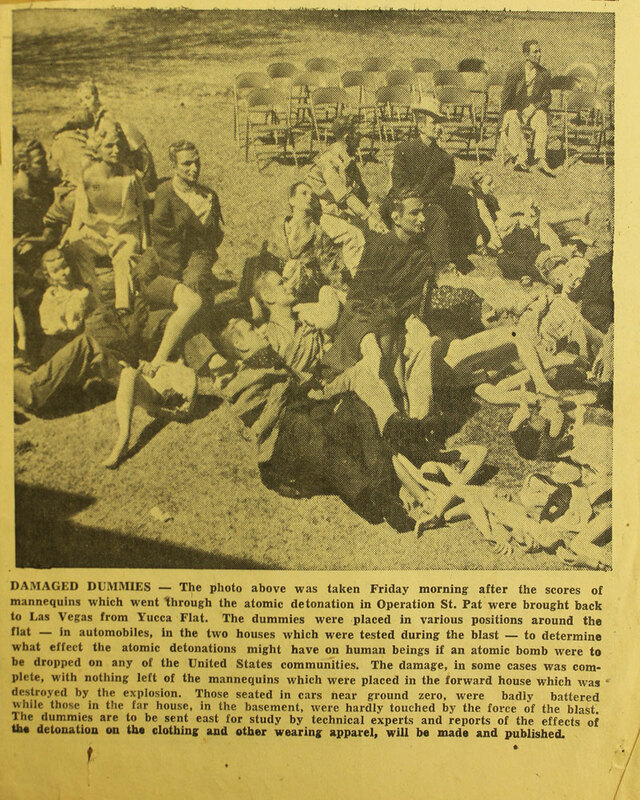 Las Vegas Review Journal, March 6, 1953. 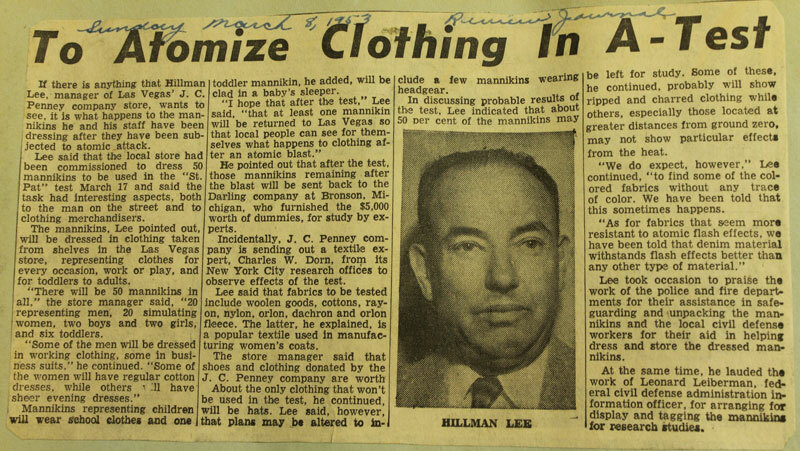 Las Vegas Sun, March 7, 1953. 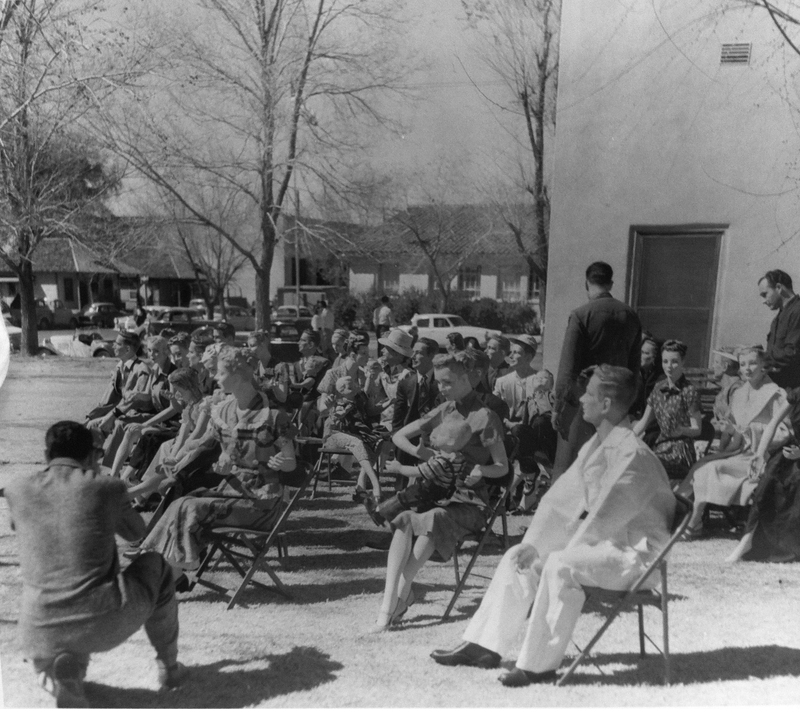 I found photos of the mannequins sitting in a group on chairs, being photographed outside in a Las Vegas neighborhood. I believe the photo was taken at Third and Carson Streets. James (Eure) could decipher ‘Third Street’ on the street sign in the first photo. Crystal (Van Dee) was able to confirm the street sign names as ‘Third and Carson’ with the help of a jeweler’s loupe. 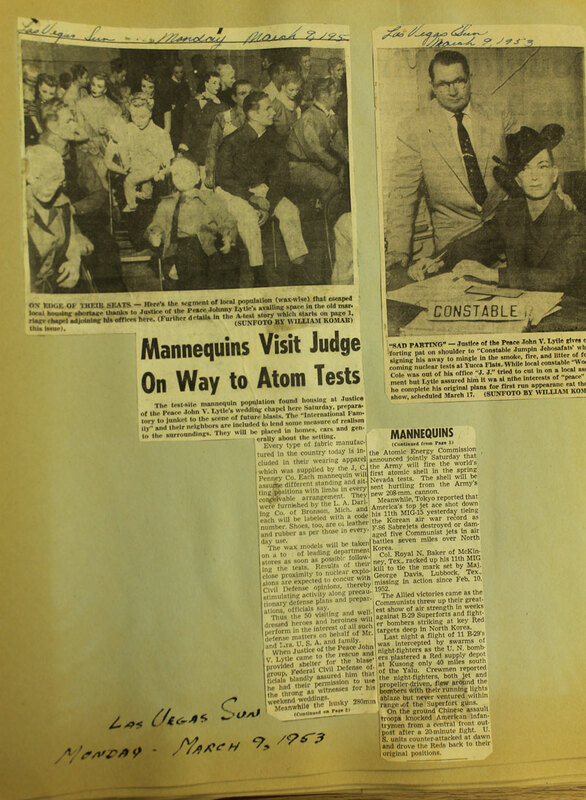 Searching further through the collections at the Nevada State Museum, I found a news release announcing that the County court house would be used in preparation for the March 17 test (at that time the court house stood at Third and Carson). 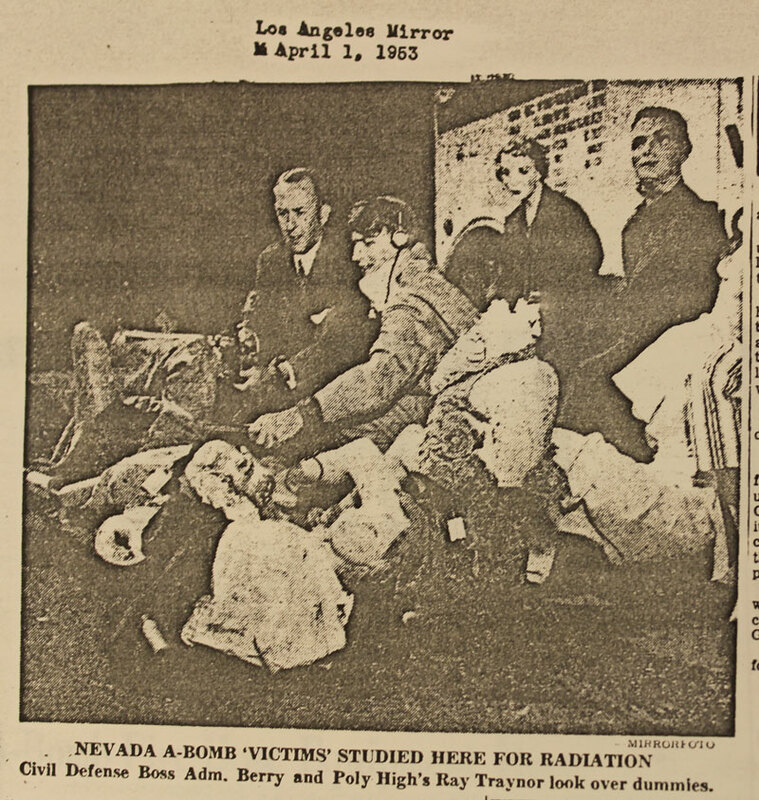 I found newspaper accounts that the mannequins had been removed from Yucca Flat and brought back to Las Vegas after the March 17, 1953 detonation. 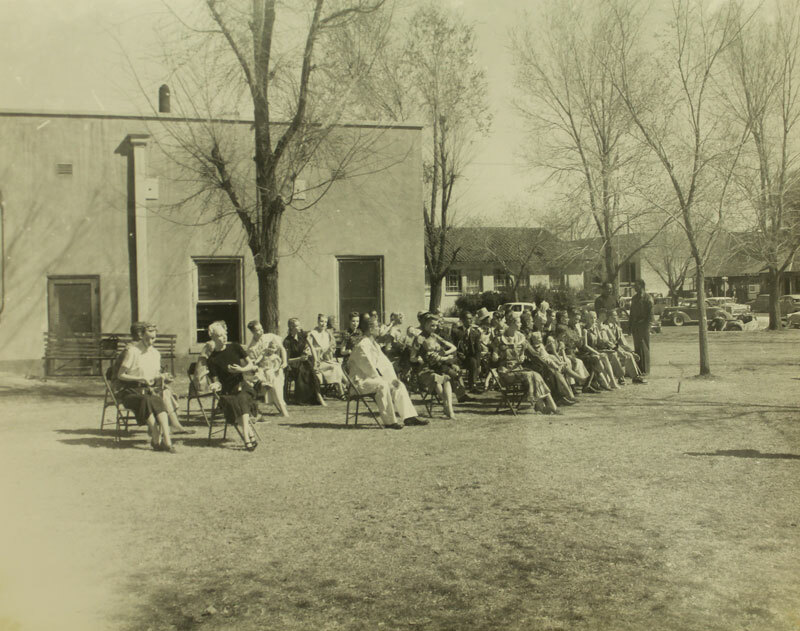 In this photo they are gathered again after the test, now damaged. They seem to be at the same site as in the earlier photo shoot (Third and Carson), but without a view of the houses across the street I can’t be certain. 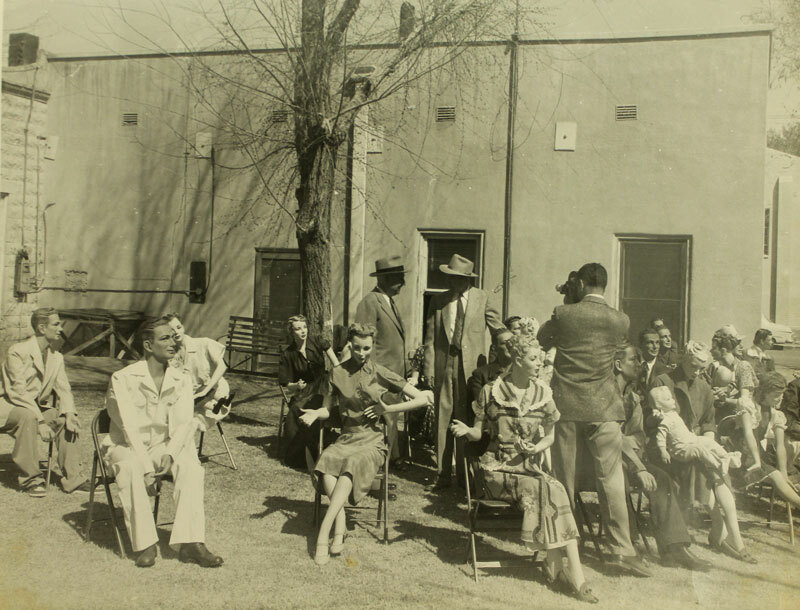 It’s possible that this site (Third and Carson) is the setting of the J.C. Penney advertisement photo shoot. 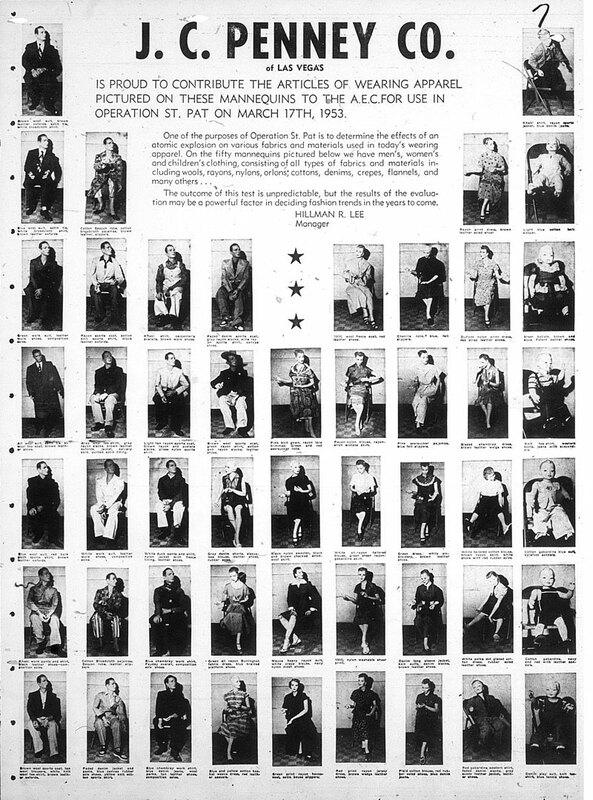 The double-page advertisement of ‘before’ and ‘after’ states of the mannequins was published in the Las Vegas Review Journal on April 3, 1953. 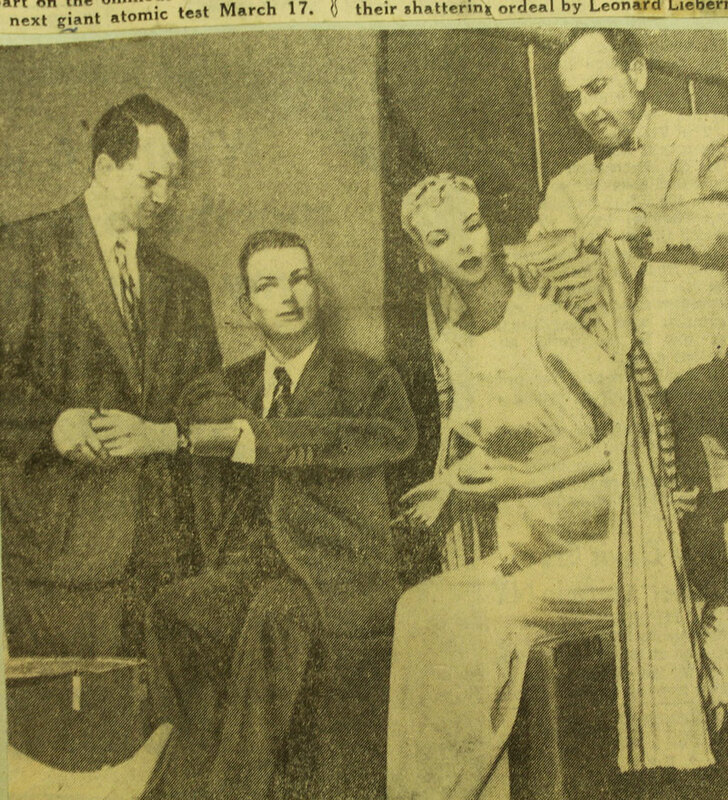 I found another J.C. Penney advertisement from early March 1953 featuring the mannequins in their ‘before’ state only in the Las Vegas Review Journal. 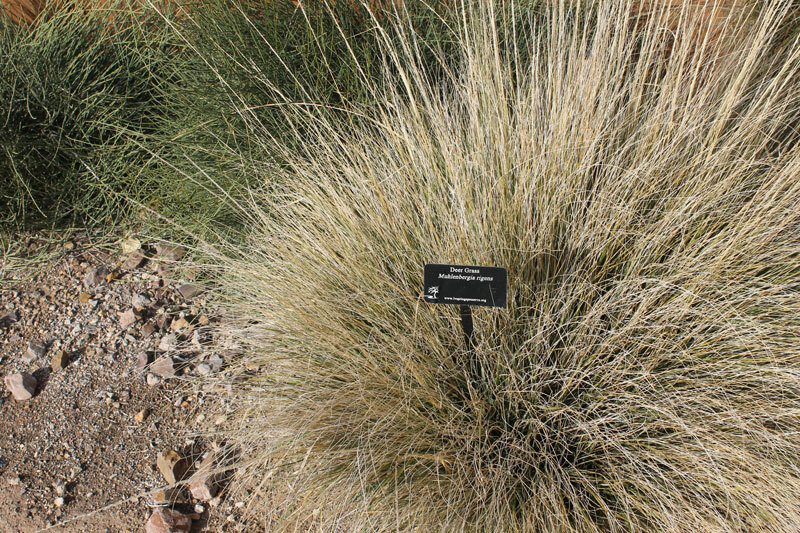 These are the same ‘before’ shots used later in the April 3 comparison. 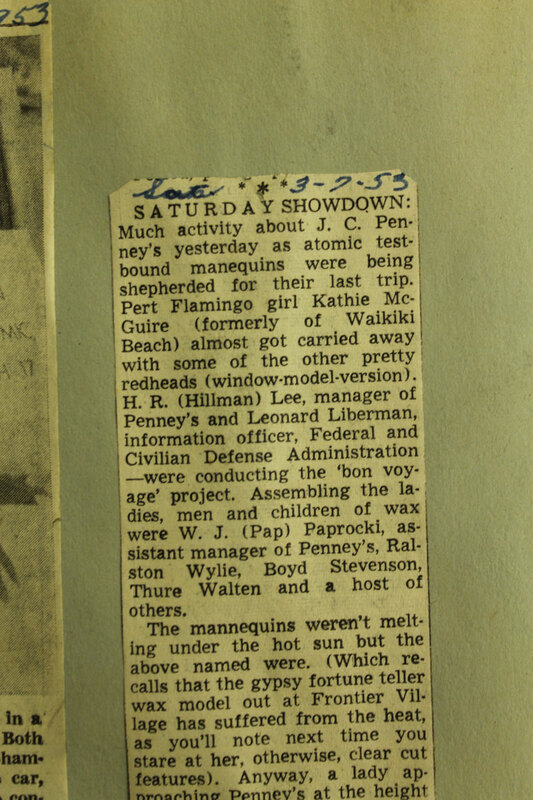 I did not find any pictures or accounts of the mannequins on public display at the J.C. Penney store after the detonation of March 17, 1953. 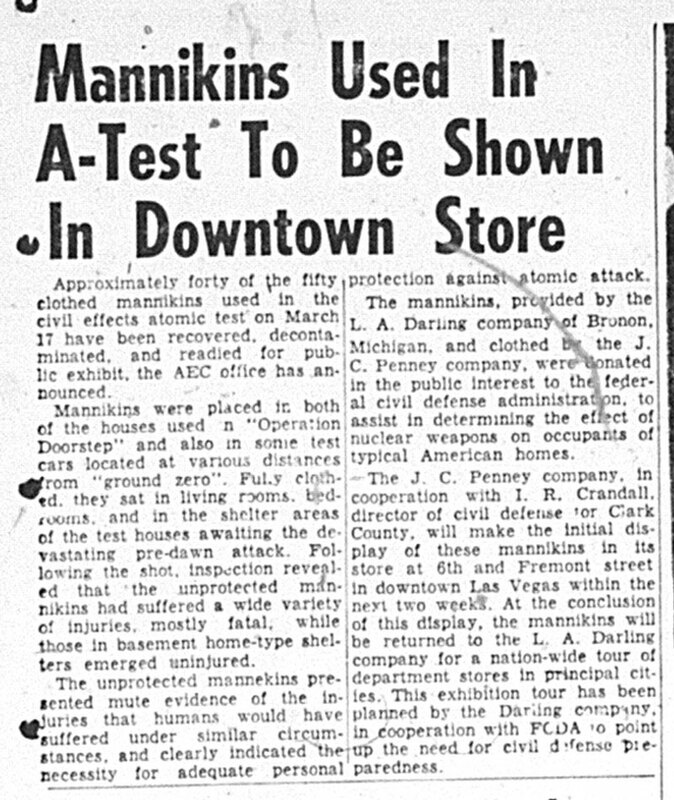 For now, the question of the mannequins’ post-detonation display in Las Vegas (at J.C. Penney or elsewhere) remains unanswered. 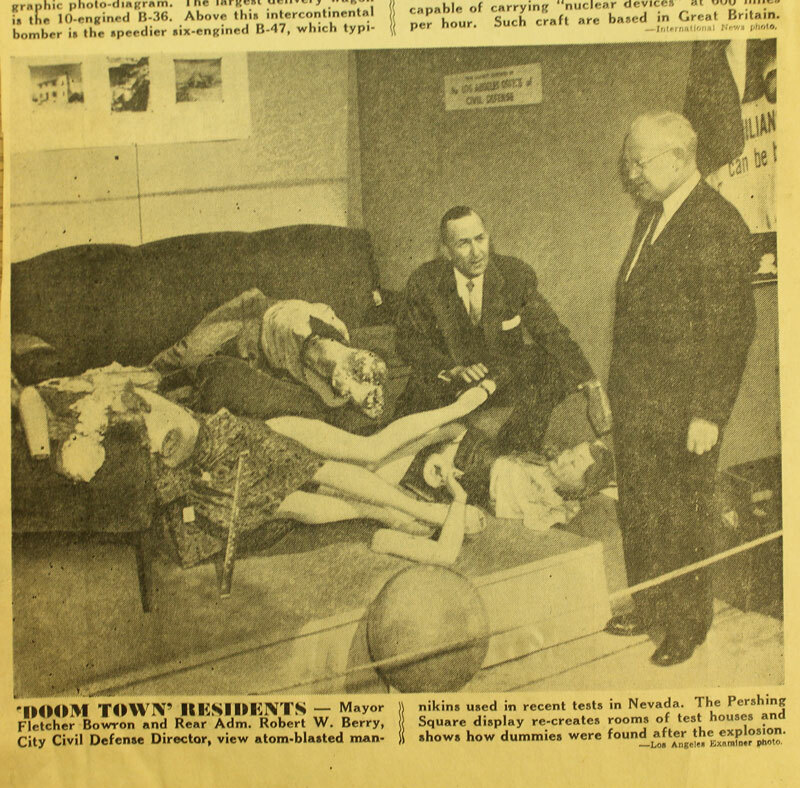 However, I did find several newspaper accounts of the mannequins on public display in Pershing Square in downtown Los Angeles in early April 1953. 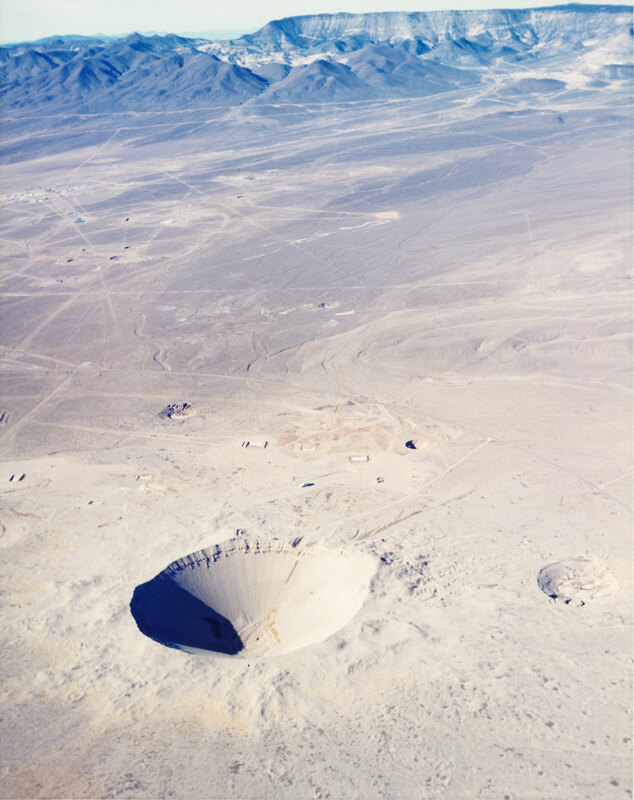 The mannequins were on view for three days and staged in similar ways to how they were found after the detonation at Yucca Flat. 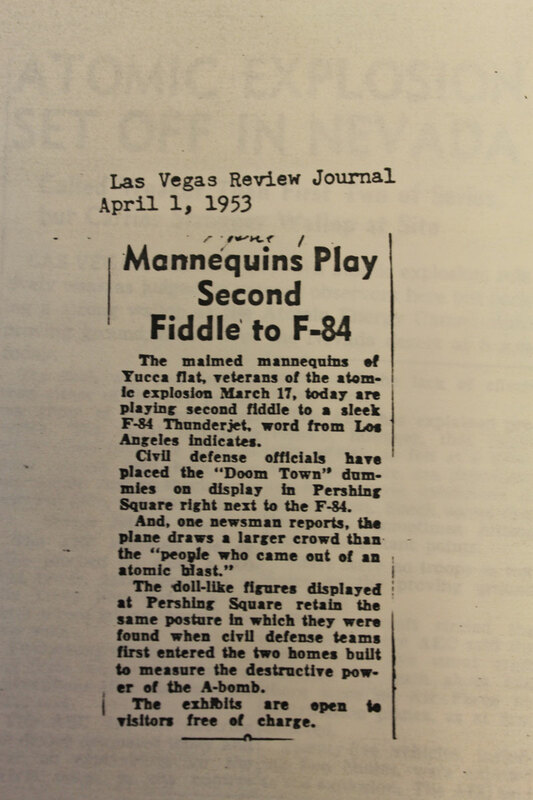 The newspapers report: ‘Mannequins play second fiddle to F-84’ (The F-84 Thunderjet was in an adjacent display). 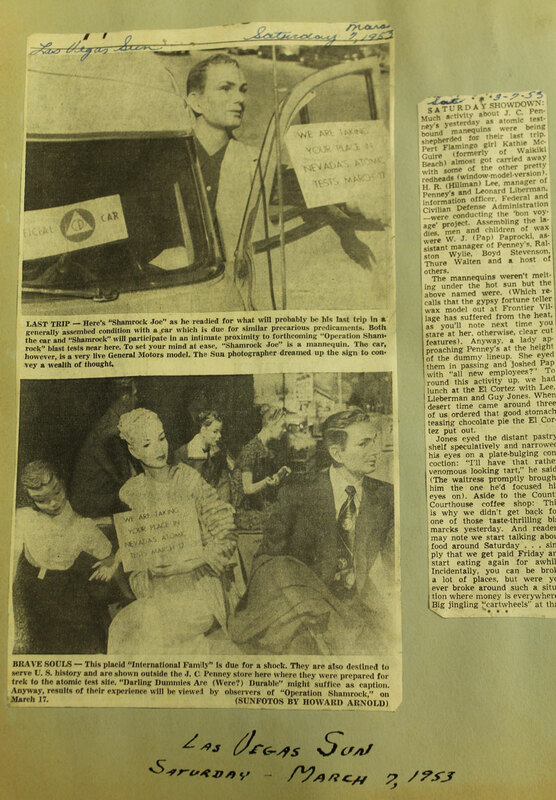 The mannequins were being studied for radiation in Los Angeles. 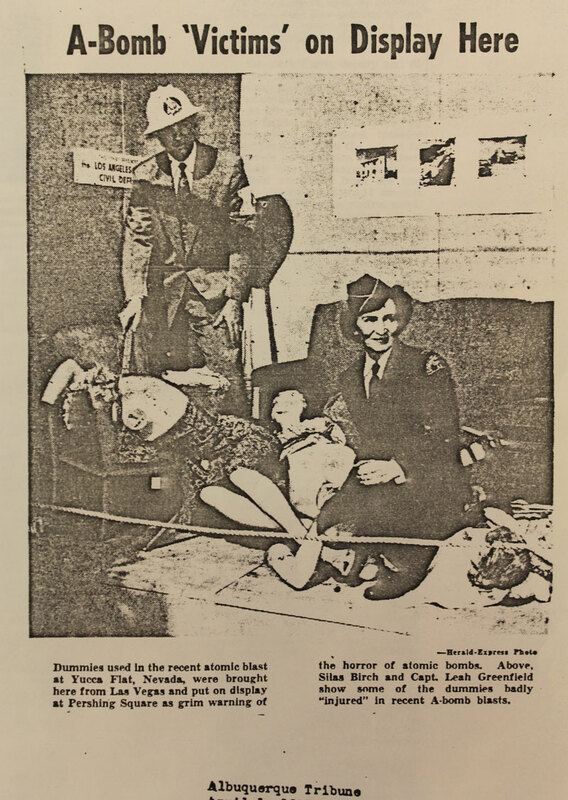 I wonder whether the Civil Defense officials cancelled their plans for a nationwide tour of the mannequins after the exhibition in Los Angeles. 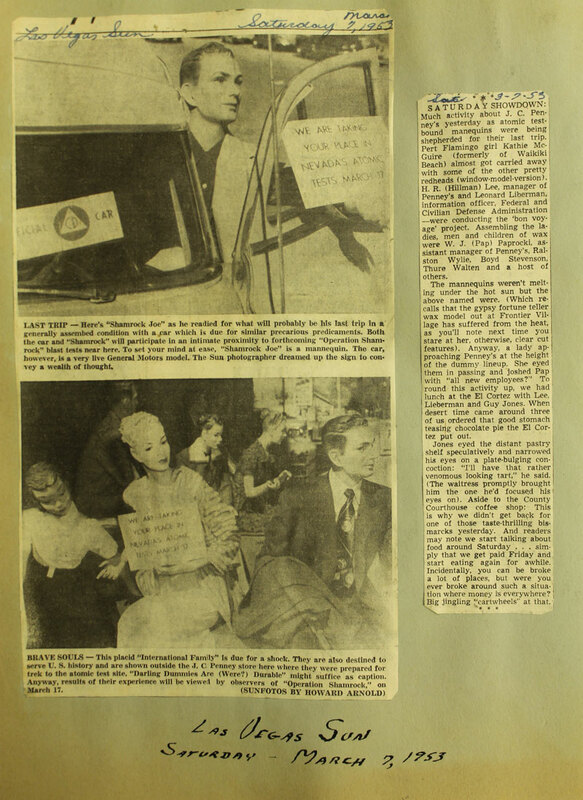 Los Angeles Examiner, April 1, 1953 Sec 1–3. Los Angeles Times, April 1, 1953. 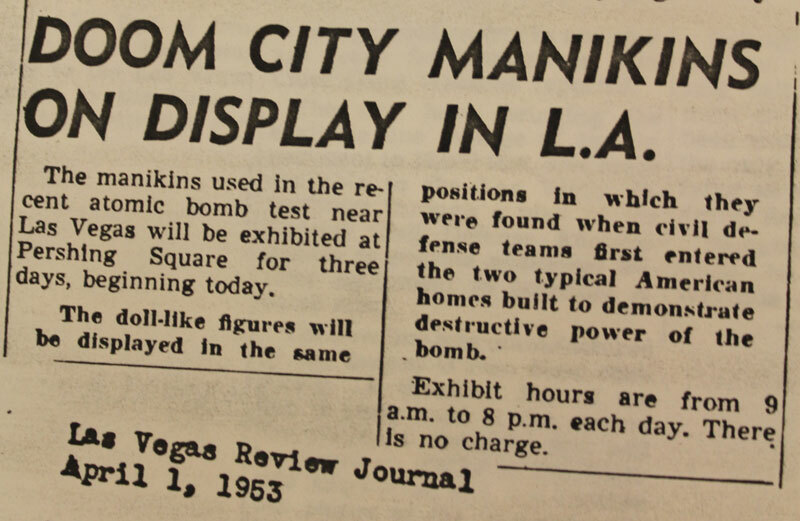 Las Vegas Review Journal, April 1, 1953. 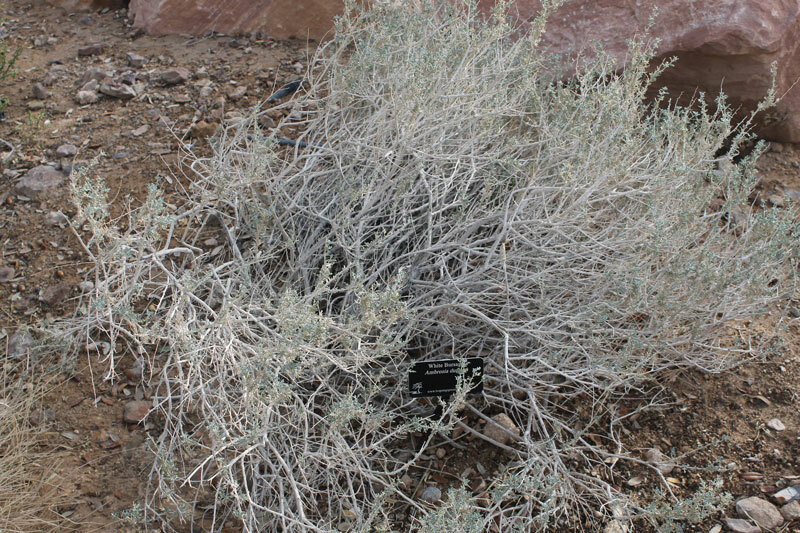 The subject of my archival research, appreciating Las Vegas. 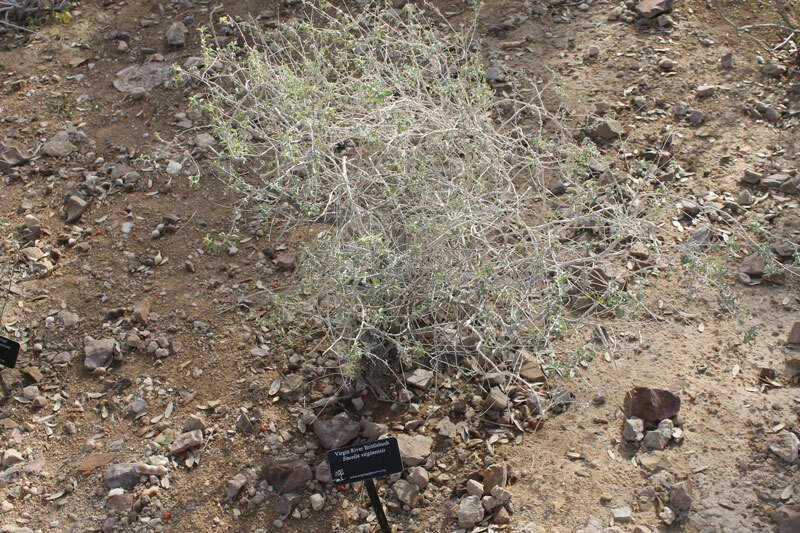 (3) an analysis of the effects of nuclear testing on people, environment, politics and culture, documentation and records on (for example) the Baneberry venting case, protests at the NTS, and designed exhibits and publications. 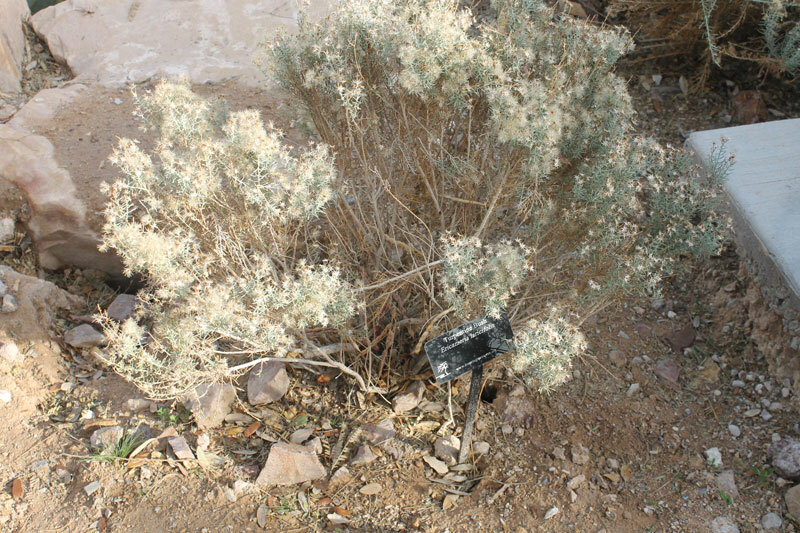 Over the course of this project, I have searched the microfilm, manuscript, photo, film, map, book, and military collections of the Library of Congress, the Mercury Core Library and Data Center, the USGS Central Region Library, and the National Archives. 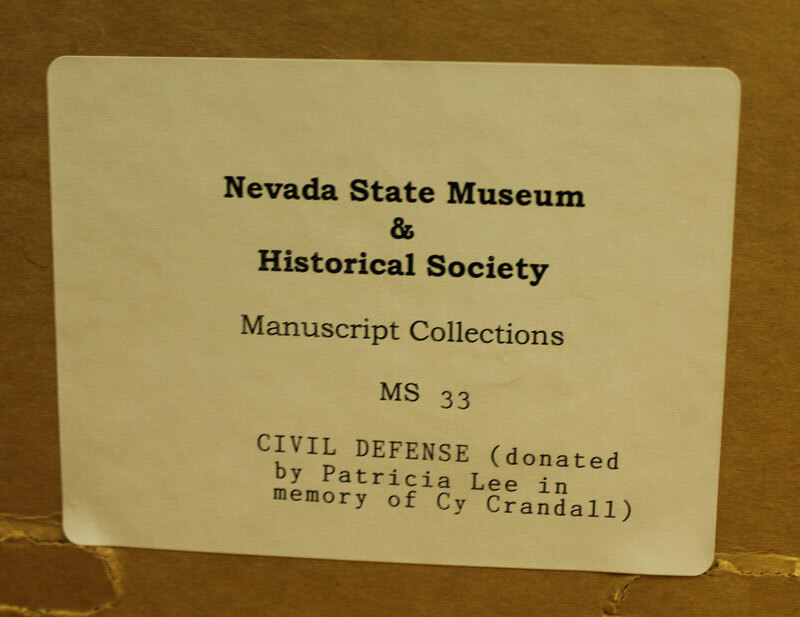 This past December in Las Vegas, I spent several days in the archives and libraries of the Cahlan Research Library of the Nevada State Museum, the University of Nevada Las Vegas Special Collections, and the Nuclear Testing Archive. As a result of these hours spent, combing through personal collections, publications, ephemera, newspaper clippings, microfilm, photos, and film reels, I have hundreds of images and notes to add to my findings. 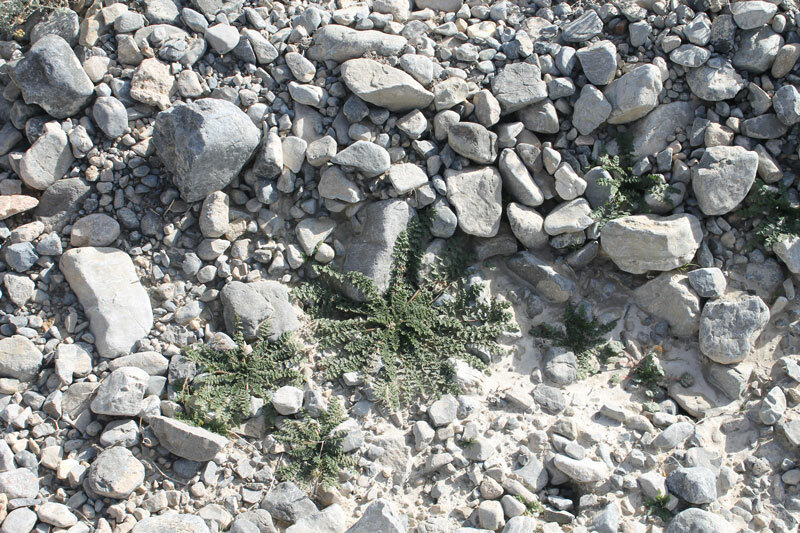 This material will give further dimension to the project. In the next several weeks I will be working to interpret these discoveries and incorporate them into the archive and into my exhibition proposal. 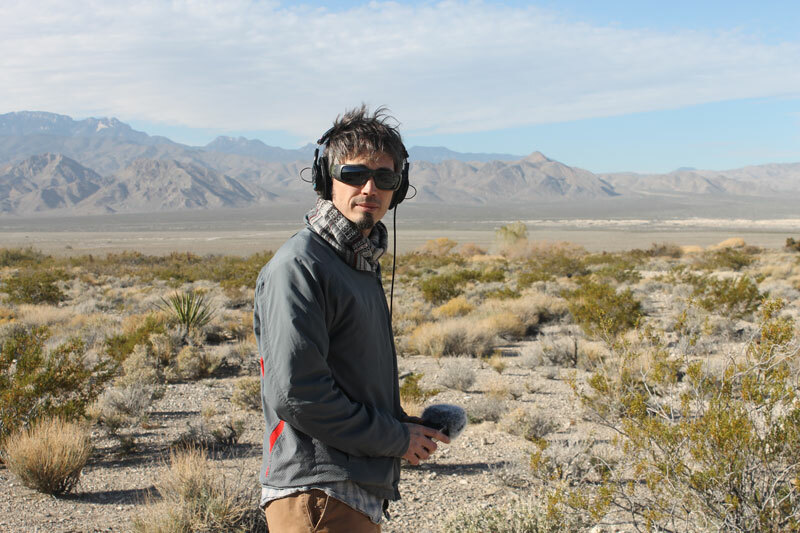 Dan Garrison, Producer at Joshua Tree Productions Inc.
Dennis McBride, Director of the Nevada State Museum. Thanks to James Eure for his assistance. 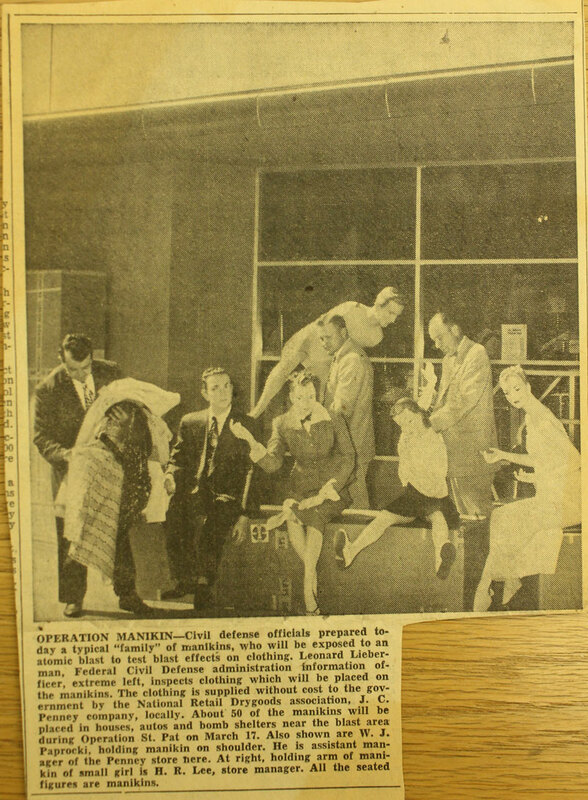 A page out of a scrapbook of clippings regarding Civil Defense, Patricia Lee Collection, Cahlan Research Library. 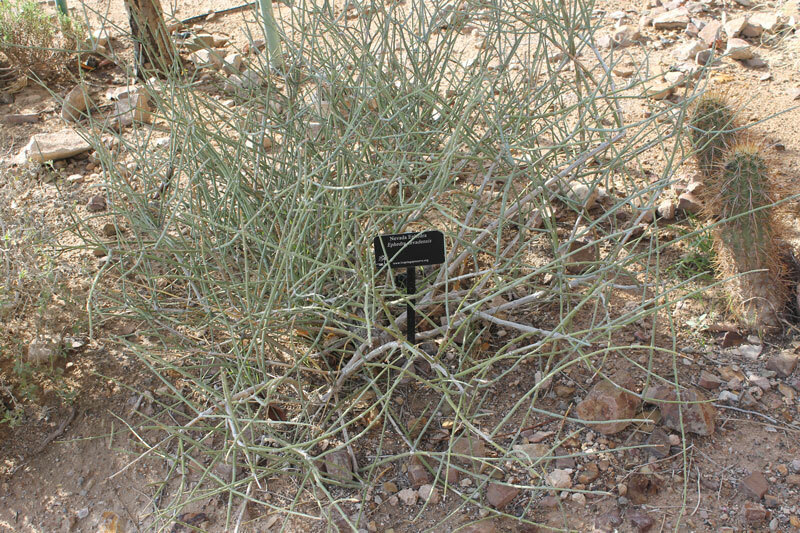 Identifying desert flora at the Springs Preserve. 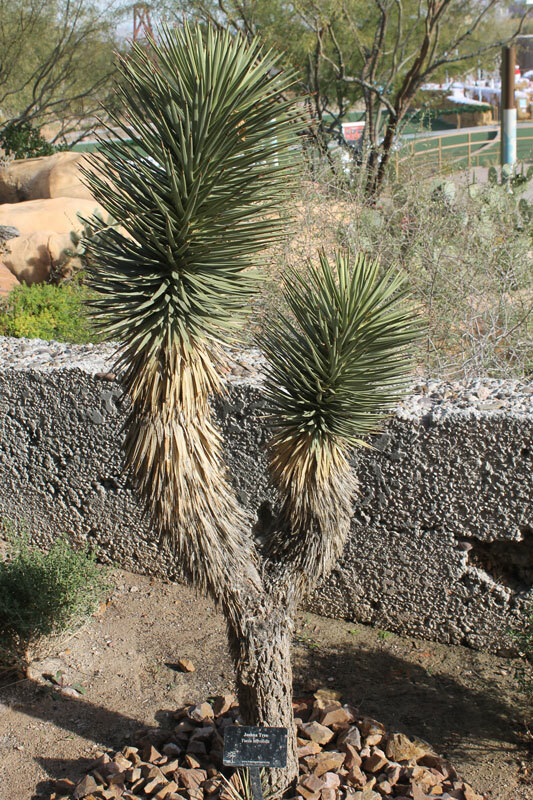 We made several visits to the Springs Preserve and Nevada State Museum, which are situated in the same area, on beautiful and fittingly-named Valley View Boulevard. 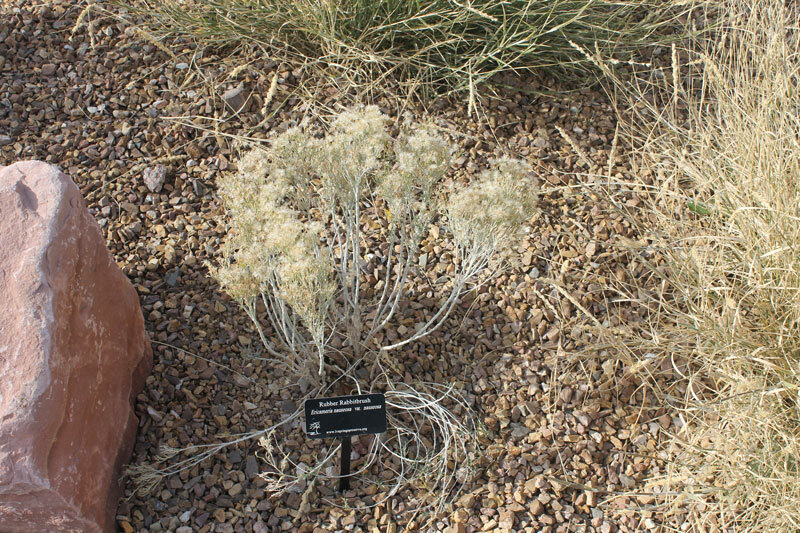 Food at the Springs Café is prepared by the Culinary Academy of Las Vegas and we regularly ate there before conducting research at the Cahlan Research Library (within the Nevada State Museum). 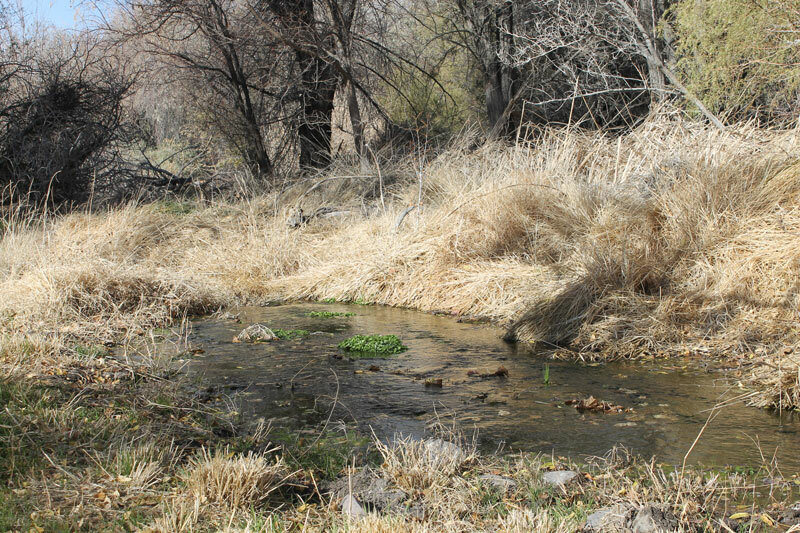 I would have loved to have had more time for hiking in the Springs Preserve. 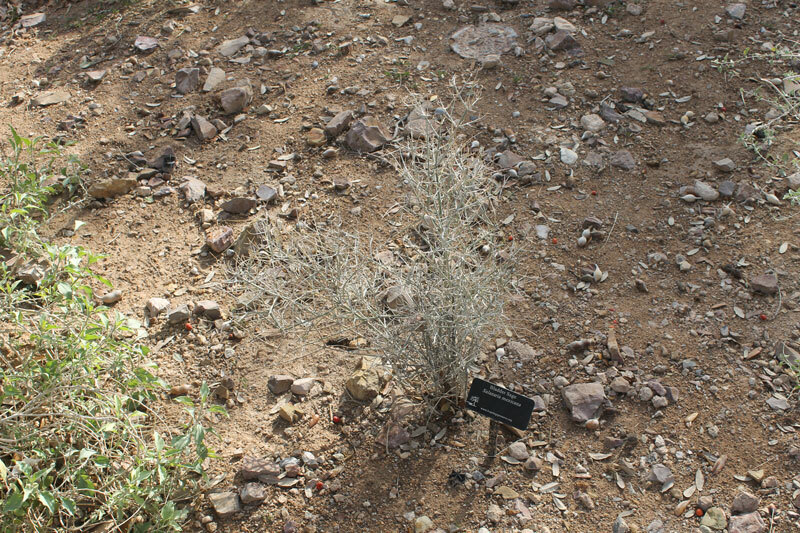 The short walk we made provided a useful introduction to some plants and has helped me identify some desert flora. 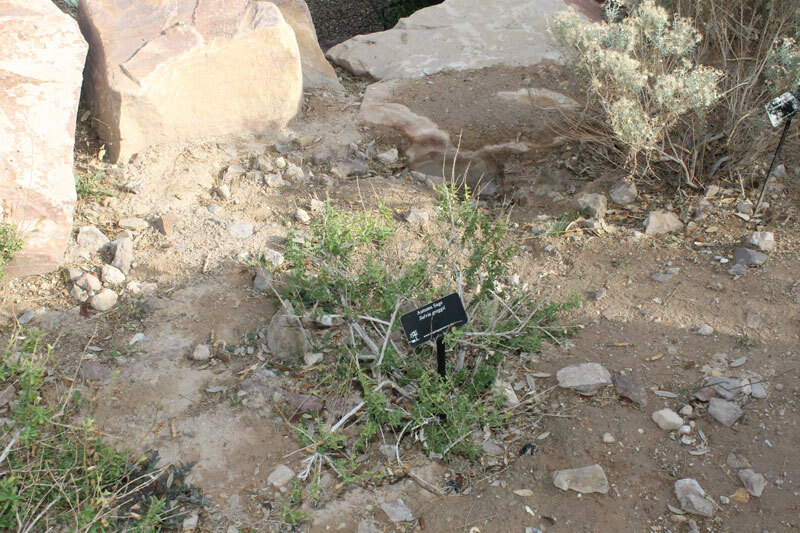 I plan to incorporate more of this kind of information into my project, as well as research that I have found on the effects of nuclear testing on the environment. 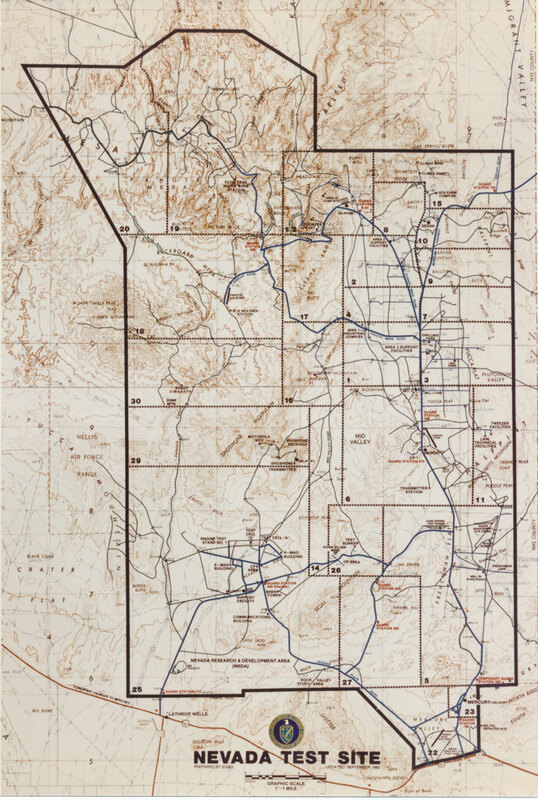 Tour of the Nevada Test Site. 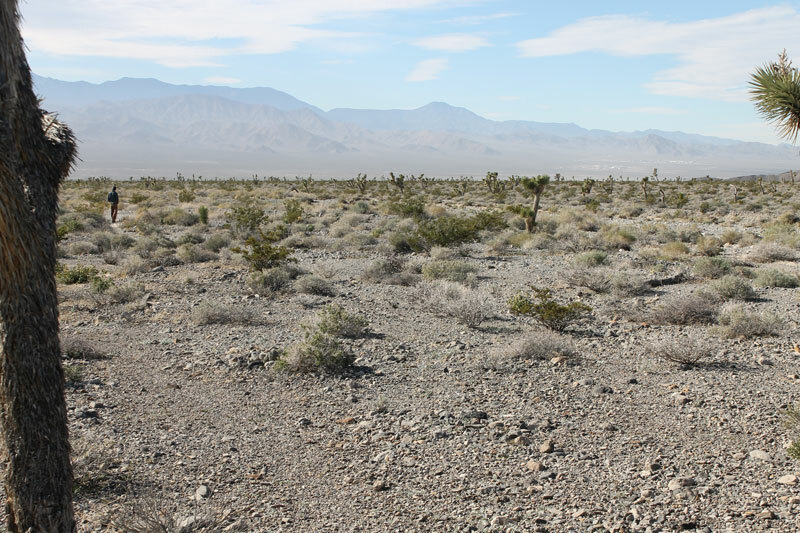 With about twenty-five other visitors, I rode out to the Nevada Test Site on Thursday, December 13. 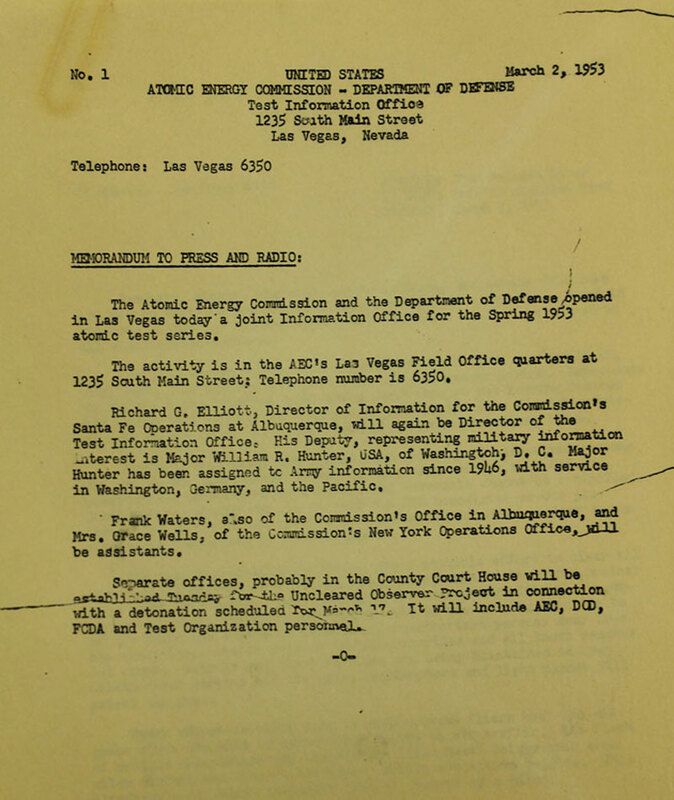 (The Nevada Test Site now goes by the name: Nevada National Security Site.) Our full-day tour was led by Ernie Williams, a former Atomic Energy Commission employee and, at the age of 82, a participant and witness to most U.S. nuclear testing activity. No pictures, no recording, no cellphones, no video allowed. While we drove around I noted the cable lines strewn about, the few subsidence craters I could see out the window, towers and other testing equipment that stands in ruin, the houses from the 1950s that, situated furthest from ground zero, remain as empty shells, and other evidence of experiments conducted. 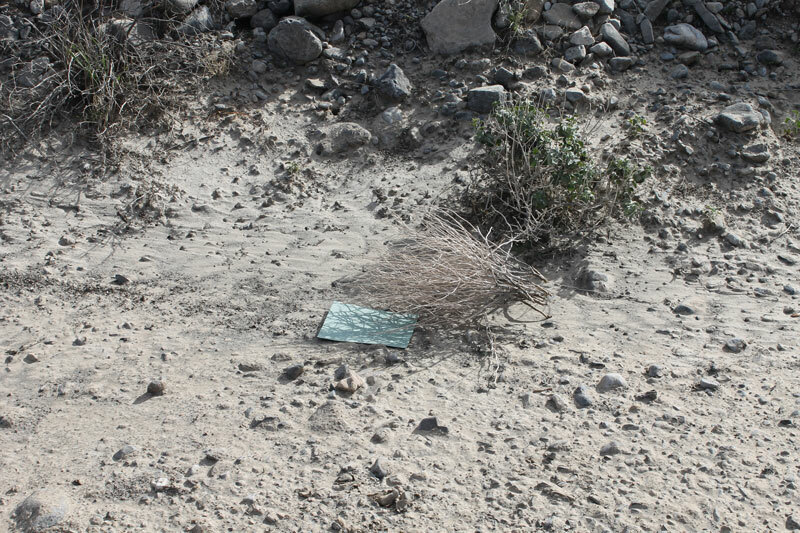 We were allowed off the bus at two spots within the site: in Frenchman Flat to stand underneath a warped steel bridge (damaged by the force of an early atmospheric nuclear test), and, later that afternoon in northern Yucca Flat, where we stood at the dramatic edge to Sedan Crater. It was a rainy and snowy day with little visibility. I was a little sad to have missed the view of mountains that surround the valley. From my 2008 visit I remember the feeling of vastness in the valley, and the feeling like we were inside a place. 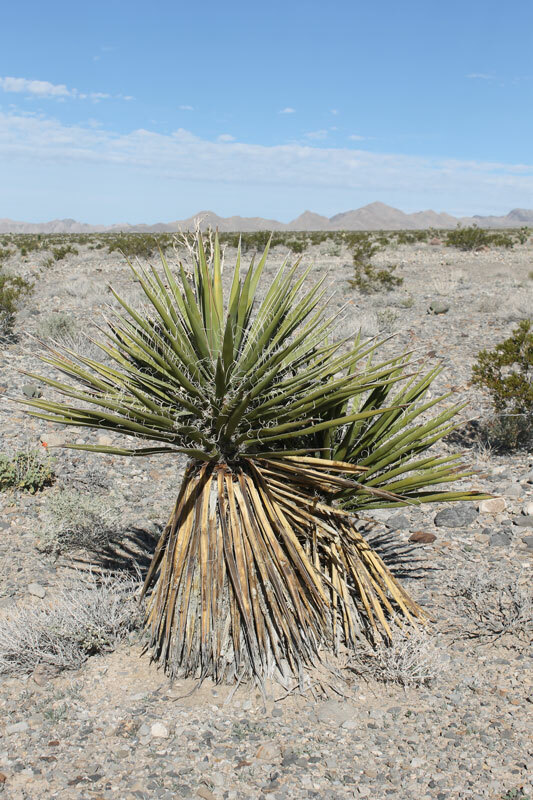 While mountains encircle Yucca Flat and there is a natural feeling of enclosure, the fact that it is a highly restricted area probably contributes to that impression. 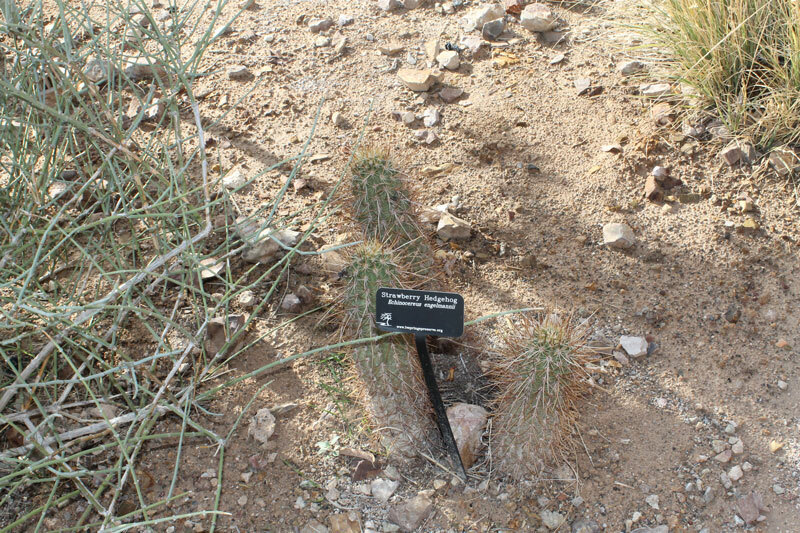 Nearby, at the Desert National Wildlife Refuge. 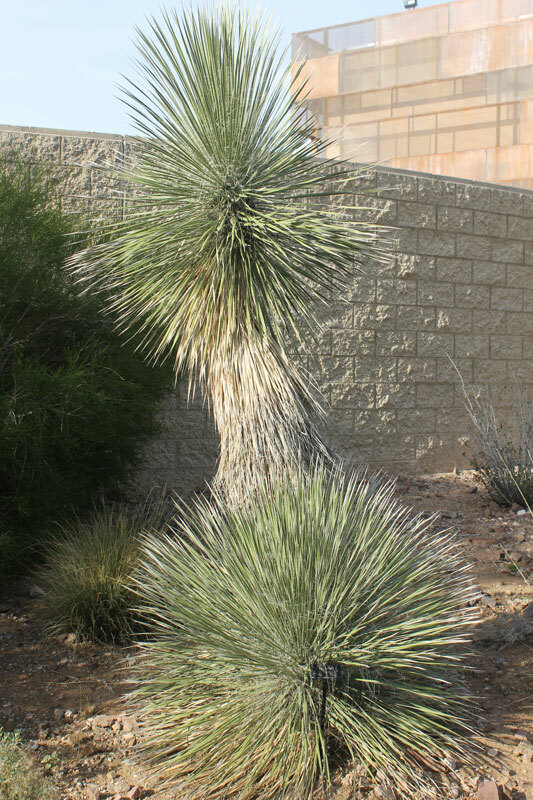 Wednesday, December 12 we drove out to the Desert National Wildlife Refuge on a windy sunny day. 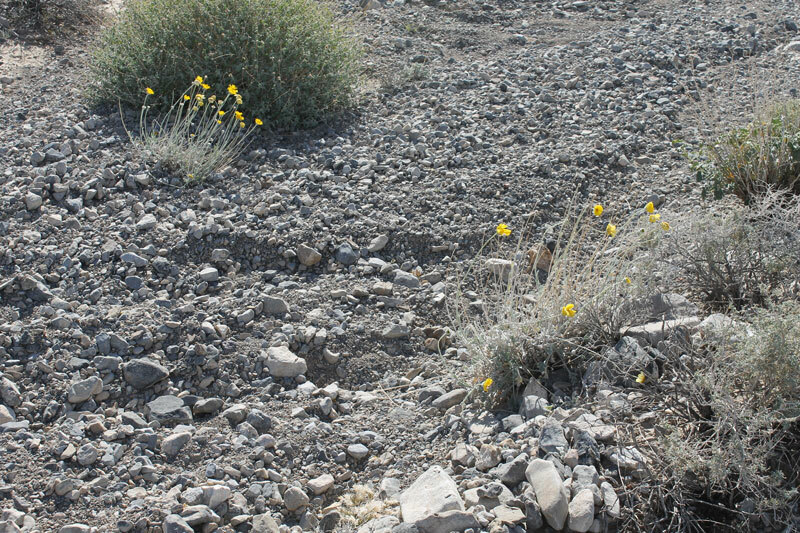 We returned dusty, a little sunburned, inspired. 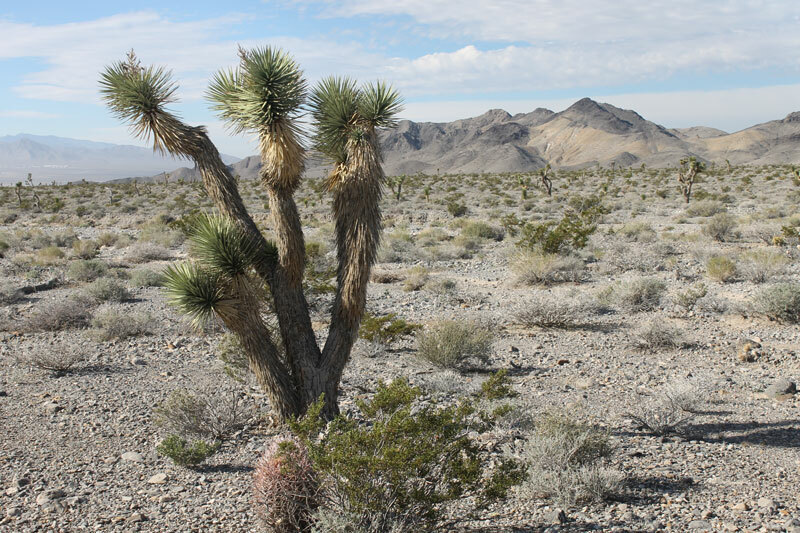 The Refuge is about 20 minutes north of Las Vegas, off Highway 95. 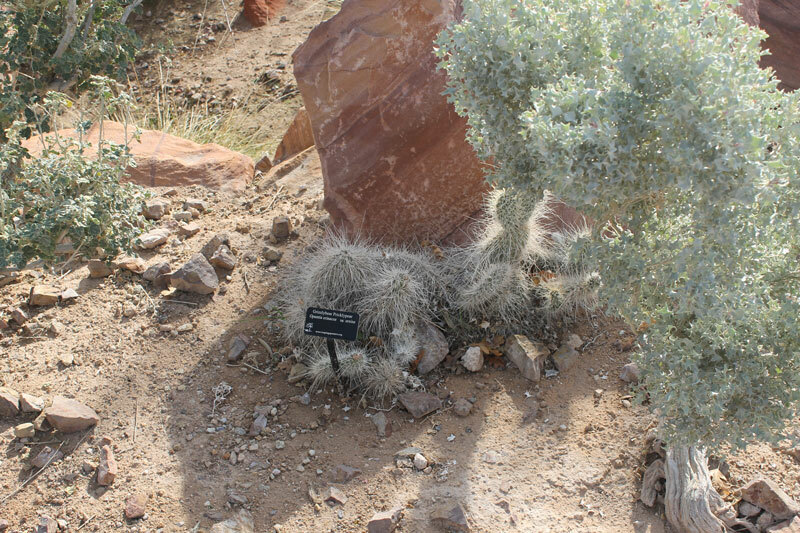 It is a protected area of 2,300 square miles (from the brochure): ‘The wide range of elevation and rainfall has created amazingly diverse habitat suited to a wide variety of flora and fauna. 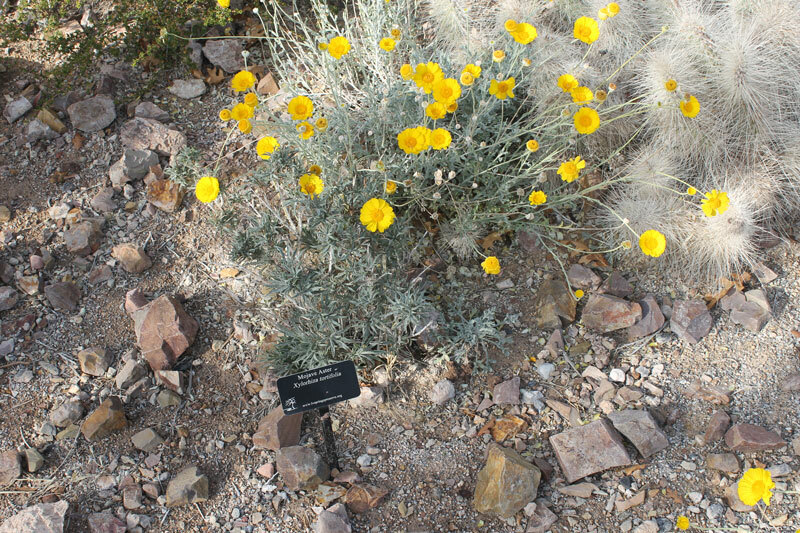 The Desert Wildlife Refuge is a land of great diversity. 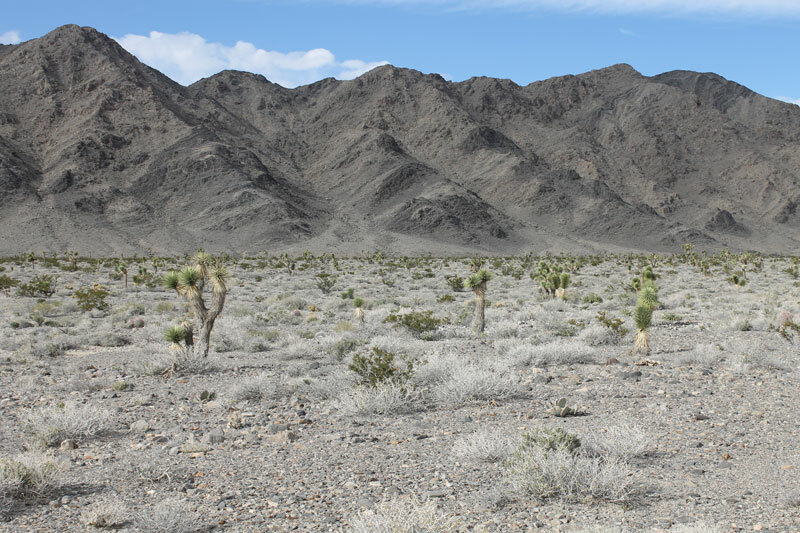 Here the Mojave Desert ecosystem merges with the Great Basin ecosystem on this vast dry landscape.’ It is a similar environment to the Nevada Test Site, which lies just beyond, a few ranges away looking north. We recorded sound that day. Walked, took photos, shot video. 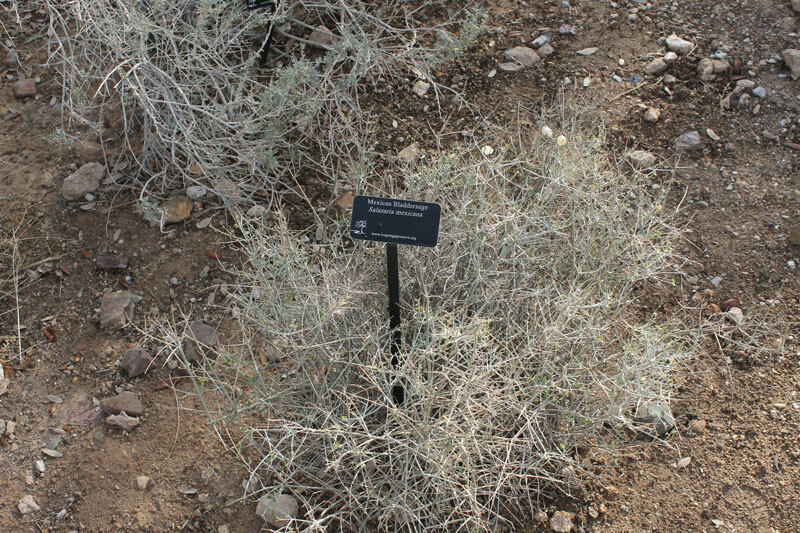 It was very windy but we did make a couple of solar prints of plants (that is sun print paper underneath the brush in the picture below), but I had hoped to do much more. 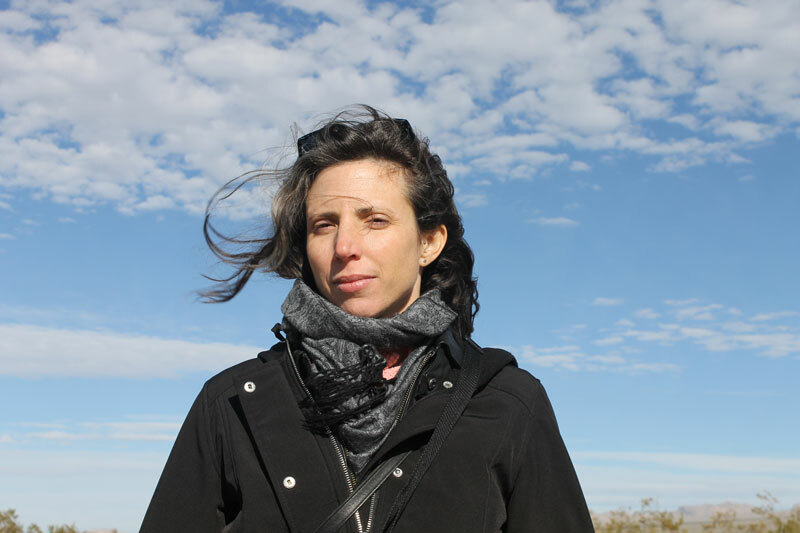 I am applying to the Goldwell Open Air Artist Residency for the summer. There, I will be creating a series of prints based on the mannequins, the mojave desert ecology, and the architecture of the testing program.